The Costa del Sol is the perfect destination for golf lovers, located in the south coast of Spain. The area has the highest concentration of golf courses in Europe, earning it the nickname of the Costa del Golf. I have recently returned from a golf inspection trip in the Costa del Sol. This is a must visit for any group looking to go away on a golfing holiday. The area is comprised of numerous coastal towns in province of Malaga. Today the region is a well renowned tourist destination. 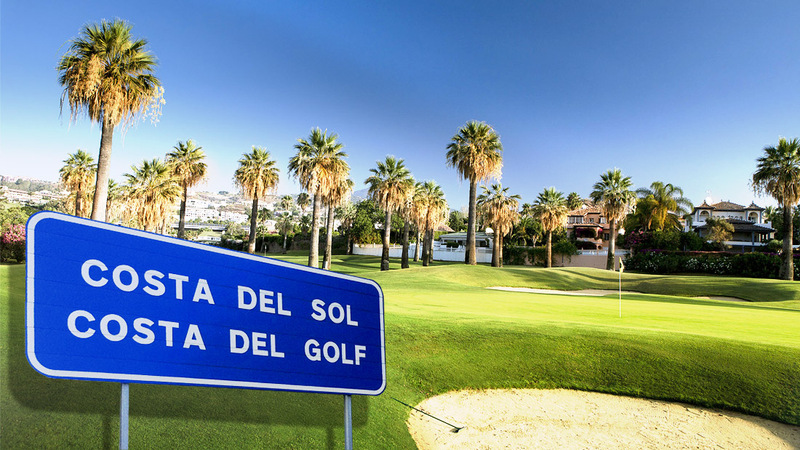 With the high quality and vast amount of golf courses in the region it is easy to see why the Costa del Sol is becoming more and more popular each year with Irish golfers. The towns are all located in close proximity to the airport which keeps transfers to a minimum. There are too many courses in this region to mention all of them so I have comprised a list of golf courses in the areas that I visited that stood out to me for different reasons. The Costa del Sol enjoys a Mediterranean climate which rarely drops below double figures, even in the winter months which is why it is a sure bet for golfers who want to play golf anytime of the year. I began my trip on the first golf course in the Costa del Sol. Founded in 1925 the Parador de Malaga golf club is a links style course located beside the beach in Torremolinos. This golf course also offers a hotel on site which is the ideal location for someone looking for a purely golf orientated trip. There is also a small pitch and putt course on site which can be good fun for all levels of golfers. Torrequebrada is a course I have had the pleasure of playing before. Considered by many one of the best courses in Europe this is a challenge to all who play it. Its quite ironic that such a quiet and tranquil course is located along the lively coast of Benalmadena. Lauro golf club, offers very competitive green fees compared to other courses in the area. Each hole is very secluded and makes you feel like you are the only one on the course, which makes for a very relaxing and pressure free game. The next stop on my trip was Estepona golf club. On my arrival I was greeted by the managing director of the club Jason who showed me around. There has been a lot of changes made to the course in the past year and it is instantly noticeable as you enter the golf course as it is in great shape for the time of year that it is. The course I was most impressed was Finca Cortesin. Famously known for hosting the Volvo World Matchplay Championship on several occasions. 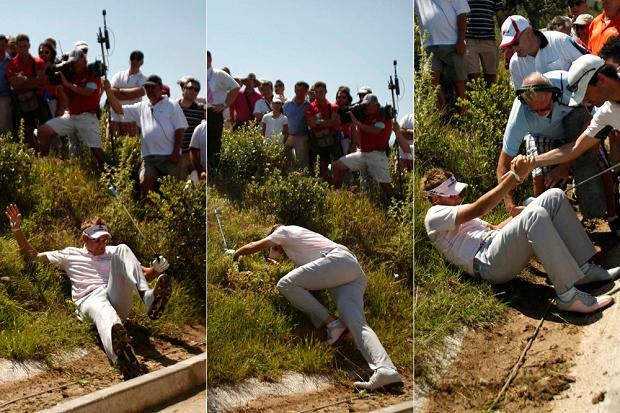 It was on this course that Ian Poulter showed us he’s not afraid to put his body on the line in his pursuit of victory against Luke Donald, the English man attempted to thrash his ball out of the undergrowth which he succeeded in doing, while at the same time tumbling down the hillside and landing on the cart path. It was worth it for him in the end as he went on to beat Donald 2&1 for his first victory of 2011. The early months of the year are usually quiet for a lot of the golf resorts in the region. The golf centre of Sotogrande located at The Almenara Hotel and Golf Club is surrounded by luxurious houses and villas. The resort is often visited by Football teams as a place for them to focus on their training. The isolated location ensures the players good behaviour as there is nothing else for them to do other than golf, train and enjoy the wide range of facilities the hotel has to offer. The course I was most surprised by was Cabopino Golf Club, this course has a bit of everything. Players must contend with the narrow tree lined and hilly fairways, it’s not a course you can just stand up and bash a driver off every tee. The green keepers obviously put a lot of time into the course as they have it in immaculate condition. Unfortunately, I didn’t get to play it this time but it’s definitely on my list for when I return. Marbella is mainly known for its luxurious houses, cars and high street shops. The golf courses in the area also live up to this stereotype. Rio Real, Los Naranjos and Santa Clara all offer top quality golf to those lucky enough to play them. I would recommend taking advantage of the top of the range practice facilities on site as you will want to be on your top game when playing these courses. 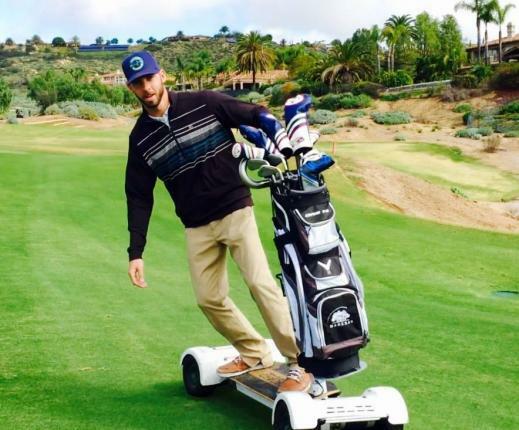 However, even if you’re not playing well you can still enjoy whizzing around the course on the golf hover boards they have for rent in the clubhouse. Santana has become one of the most sought after golf courses to play in the Costa del Sol over the last few years and it is easy to see why. The course can be enjoyed by players of all levels and if you are on your game there is a very good chance to shoot a very low round. The staff are very friendly and there is a great atmosphere in the clubhouse which makes it a great place to enjoy a few San Miguel’s after an enjoyable round of golf. As you drive through the hills of Mijas the roads are lined with people selling golf balls out of the back of their cars, it becomes apparent why when you reach El Chaparral golf course. Located in the middle of a forest El Chaparral golf course is one of a kind in the Costa del Sol as it offers 6 par 3’s, 6 par 4’s and 6 par 5’s. 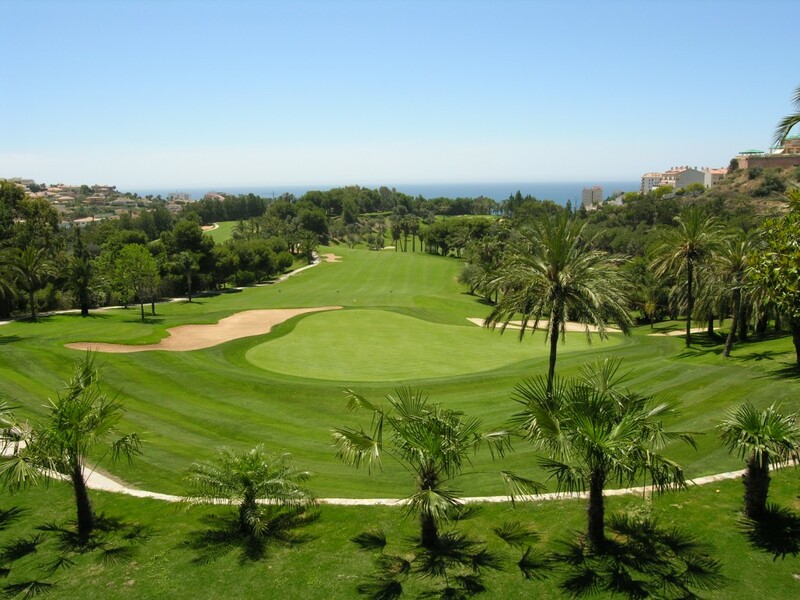 The quality of greens on this course are the famous around golf clubs in the Costa del Sol. A place I have played a lot of golf in is La Cala golf resort. The 3 different courses Europa, America and Asia offer different styles of golf from each continent. They each offer dramatic views, plenty of challenging holes and an enjoyable golfing experience. There is no better place to relax after a round of golf than the clubhouse in La Cala where you can watch players finishing off their round on the 18th hole of the Asia course. As I came to the end of my trip I headed back to Torromelinos. The last stop was the local legend Miguel Angel Jiminez’ golf school. The academy offers practice chipping and putting greens and a driving range which is surrounded by the most well-kept par 3 course I have ever seen. Miguel has designed courses all over the world and even on this 9-hole par 3 course it is evident that he has a great understanding of what make a really good course design. It is easy to see why this golfing destination is so popular amongst golfers from all over the world and Golfbreaks.ie would highly recommend this golfers paradise.